Chris started Long Gone Sound Productions in 1999 and his business card describes him whimsically accurate as “Sole Proprietor, Auricular Raconteur & Sonic Archeologist.” He won a Grammy in 2002 and has been nominated six times. More recently, Chris partnered with musician and producer Jack White’s Third Man Records to release Why the Mountains are Black: Primeval Greek Village Music 1907-1960 in 2016 and the July release of Kitsos Harisiadis: Lament in a Deep Style 1929-1931, an inspired compilation of the recordings of the great Epirote clarinetist Kitsos Harisiadis. Epirus is itself a living museum of sorts with core elements of cultural and spiritual life unchanged since the Stone Age when early humans entered the region to hunt red deer and gather acorns. Epirus remains a predominately rugged mountainous region isolated by the Pindus Mountains to the east; the Ionian Sea to the west; and to the north, Albania with whom there is much shared history and culture. Agriculture is difficult, and it was the domestication of sheep and goats that initially brought permanent human habitation to Epirus. Shepherding remains a defining aspect of traditional Epirote life and an integral element of the traditional music. Unlike much of ancient Greece, remote Epirus never developed city states during the Hellenic period but the region did maintain ties through the Oracles of Necromanteion and Dodona, second in importance only to the Oracle of Delphi. Epirus has survived Roman and Ottoman colonization, brutal home rule under the deranged homegrown psychopath Ali Pasha, Nazi fascism, civil war and more recently, neglect. Traditional music is still very much an integral part of the daily lives of modern day Epirotes. To quote Chris in Lament for Epirus; “Music is hard here because life itself is uncertain, indifferent. Everything could disappear in a wisp and a whimper.” Semi-nomadic Sarkatsani, Vlach and others traditionally played the dzamara (shepherd’s flute) but the classic Epirote kompania ensemble is comprised of violin, clarinet, laouto (4 course fretted lute) and defi (frame drum). These kompania of traditionally Roma (ethnic “Gypsy”) musicians play for community events including holy days, funeral rituals, the annual making of distilled spirits and the important village panegyra. These gatherings are both devoutly Christian while steadfastly rooted in the pagan Old World and what Chris shares from recent visits to Epirus could just as easily have come from descriptions of Dionysian celebrations some 3000 years ago. The repertoire consists of traditional regional dances as well as several types of distinctly Epirote improvisations. Of the later, notably important are the Skaros and Dzhamara; originally played by shepherds on dzhamara; the end blown flute known as kaval elsewhere in the Balkans and Anatolia where it is also the traditional instrument of shepherds across the continuous stretch of mountains that run from the Pontic and Taurus ranges of Anatolia westward across the Balkans to the Pindus range of Epirus. It is said that individual shepherds could be identified by their Skaros and this traditional melodic improvisation was adopted by the relatively modern clarinet and violin. The other primary form is the Mirologi which is best translated as a lament. No mere performance or show piece; the Mirologi is a very personal expression of grief from the musician and serves as an important part of the waking and grieving rituals of Epirote villagers. 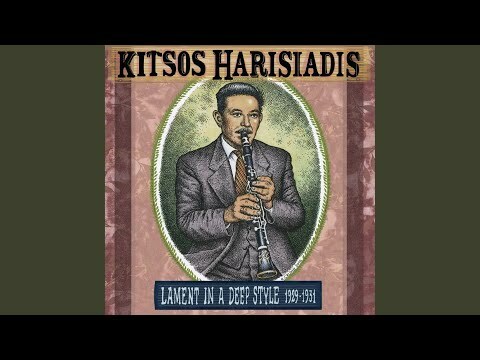 The famed clarinetist Kitsos Harisiadis thought of himself as a “healer” for the villagers he played for. In an interview with Kitsos’ 89 year old niece, Chris asked why she weeps when she hears a mirologi and she replied “I weep because it is a mirologi.” In the case of Alexis Zoumbas’ sublime 1926 recording Epirotika Mirologi; this performance couldn’t be contained and was released on longer playing 12” 78, long after the industry had standardized to shorter 10.” Listening through the roughly ten hours of Epirotika that Chris has released, it is intriguing how many of these commercially released 78s were un-metered, improvisations of Mirologi and Skaros and how much this says about the culture and the community at home and abroad who nurtured this profound music. Pat Mac Swyney is a Los Angeles based musician and teacher who plays Trad. Jazz with The Swing Riots Quirktette; Balkan with Nevenka; and Old-Time with The Shakytown Ramblers, Dead Rooster & Sausage Grinder.